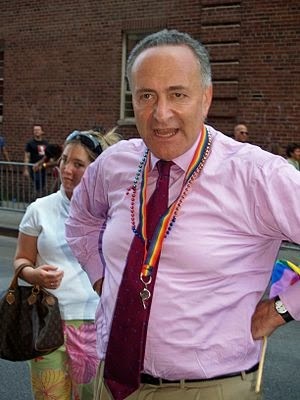 On behalf of the Republican Party I want to sincerely thank you for pushing Senator Chuck Schumer to the highest post for the Democrats in the U.S. Senate. 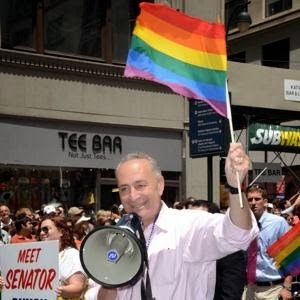 As Minority Leader Senator Schumer will follow in the footsteps of the House Minority Leader, Representative Nancy Pelosi, and ensure Republican majorities going forward in their respective bodies. I applaud your tenaciousness by doubling down on leftist leadership. You didn't let electoral landslide losses in 2010 and 2014 change who you are. We on the right look forward to NOT working with Chuck and Nancy and exposing the Democrats for the hypocrite leftists that they are. We also look forward to running every House and now Senate race as a national election against Nancy Pelosi and Chuck Schumer. Again, thank you. We could not have asked for better news going into 2016. P.S.- Being from New York I want to say "You're Welcome America!" Which country's flag is that?